The name Forrest has been so often in the newspapers lately that I thought it must be time to cover it. The reason it’s in the papers is because of mining magnate Andrew “Twiggy” Forrest, the 9th richest person in the country, with a fortune of $3.66 billion. The head of the Fortescue Metals Group, Andrew has recently bought massive pastoral holdings in the Pilbara, making him one of Western Australia’s biggest landowners. He also recently bought Harvey Beef, the biggest beef exporter in Western Australia, and the only one which exports to China. Andrew is a prominent philanthropist; he and his wife Nicola are the first Australians to pledge half their wealth to charity while living. He has made large contributions to Indigenous employment, charities for children and the homeless, disaster relief, and his alma mater Hale School – the oldest private boy’s school in Western Australia, whose Forrest Library is named in Andrew’s honour. Last October, Andrew announced he would donate $65 million towards higher education in Western Australia – one of the nation’s highest philanthropic donations. He has also become known for his fight against modern slavery, launching a global campaign with the support of the Pope, Archbishop of Canterbury, and Grand Imam of al-Azhar. Andrew likes to be seen as apolitical, but has friends on both sides of politics, and has made donations to the WA Labor Party. He has also been vehement in his opposition to the mining tax, and urged the Federal Government to strip welfare payments from teenagers if they are not in school, work, or training. This week’s budget demonstrated the power of his political influence. Andrew Forrest is the great-great nephew of Sir John Forrest, an explorer and who became the first premier of Western Australia; he was the first professional politician in Western Australia and never lost an election. 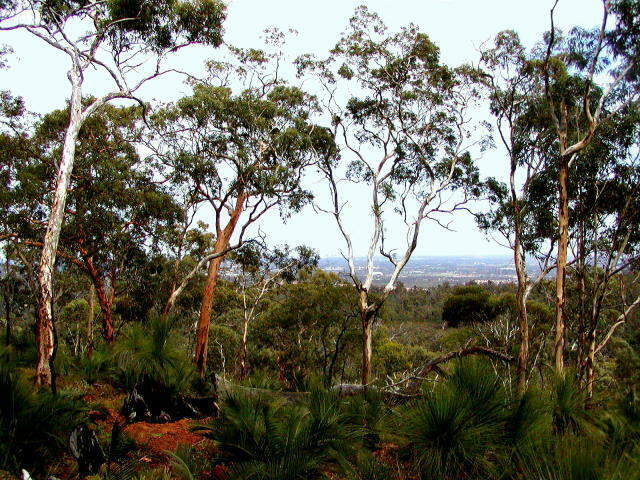 Sir John has many sites named after him, including John Forrest National Park, Western Australia’s oldest national park. This must be a rare example of a forested area named after someone named Forrest. John’s brother Alexander was also an explorer and politician, with significant investments in land and mining. Their brother David was Andrew Forrest’s great-grandfather. David was the first manager of Minderoo Station in the Pilbara, which was bought by the Forrest brothers in 1878, and owned by them until it was sold by Andrew’s father Donald in 1998 due to drought and debt. Andrew, who had once worked as a jackaroo at the station, bought back the family property in 2009. Forrest is a surname which is easy to translate, as it comes from the Old French word forest. Today we might see Forest as a tranquil nature name, perhaps even slightly hippy. In a time when national forests are protected, they seem a haven where we can all enjoy their natural beauty. However, the original meaning of forest in Norman England was quite different. The word referred to large tracts of heath and woodland reserved for the sole use of the king and, by invitation, the aristocracy. At the height of afforestation in the Middle Ages, a third of southern England was set aside, with a certain amount of ordinary people getting booted out of their homes to make way for these forests. Forests were not for communing with nature and tree-hugging, they were for royals and nobles to hunt wild animals, and there could be harsh penalties for anyone else who entered them, especially if they were there to poach game. The word forest comes from the Latin for “outside” – not because forests are outdoors, but because they were outside the laws of the land, and the law offered you no protection if you were caught in one. That’s why outlaws (such as fictional Robin Hood) lived in the forest, and why they were taking such a daring risk in doing so. The surname Forrest would have been held by someone who lived near a royal forest, or someone who worked in one, perhaps as a gamekeeper or warden (a lot of security staff was needed to protect the game). Although widely used in Britain, the surname became particularly associated with Scotland because of the Clan Forrester, which originated in the Edinburgh region. Sir John Forrests’ parents were emigrants from Scotland, who came to Australia as servants of a prominent colonial physician. Forrest has been used as a first name as early as the 16th century, and originated in England rather than Scotland. It has been most used in the United States, but the name isn’t uncommon in Australian records, and Forrests from Western Australia may have been named after (or been part of) the famous Forrest family. The most famous fictional Forrest is surely Forrest Gump, from the book and movie of the same name. In the story, Gump is named after his ancestor Nathan Bedford Forrest, a popular yet highly controversial Confederate General who was accused of war crimes and became one of the early members of the Ku Klux Klan. Unlike his rather wily and unscrupulous ancestor, Forrest Gump is naive and good-hearted. Forrest has never charted in Australia, but its meaning and history almost make it seem traditional: this is a good example of a name that is very unusual, yet not in the slightest bit strange or confusing. The Forrest dynasty gives it depth and dignity, while the modern understanding of forests resonates with Australians, thanks to our mythology of the bush. Forests may remind us of freedom and toughness, and the literal meaning of “outside the law” of wild bushrangers. They might also remind us of the fight to save our native forests, a struggle which seems more vital now than ever. Forrest received an extremely good approval rating of 78%. 31% of people said they didn’t mind it, while 25% thought it was a good name. Less than 10% of people hated the name.